Home Customizing Open an Email Activity in Outlook from Dynamics CRM 14 people are discussing this now. 14 people are discussing this now. There may be a scenario when working in Dynamics CRM where you want to open an email activity in Outlook, as Outlook provides a richer set of formatting and usability options. Yet, if the email record is created (perhaps automatically) within CRM, you’ll want it to stay in CRM. In addition, you’ll want an easy way to move it to Outlook and automatically populate the body, subject, and recipients, etc. with data from CRM email activity. //if you do not want to preview the message first. This solution provides an easy, quick, and efficient way to move the contents of a CRM email activity that is created in CRM to a more user-friendly environment in Outlook. Note: To open email in Outlook, Outlook needs to be up and running. Important: As this code utilizes the ActiveXObject, it will only work if using Internet Explorer. Hope you find this useful. 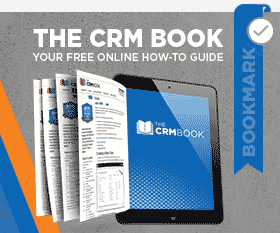 Happy CRM’ing! by Joe D365	August 9, 2013 14 people are discussing this now.